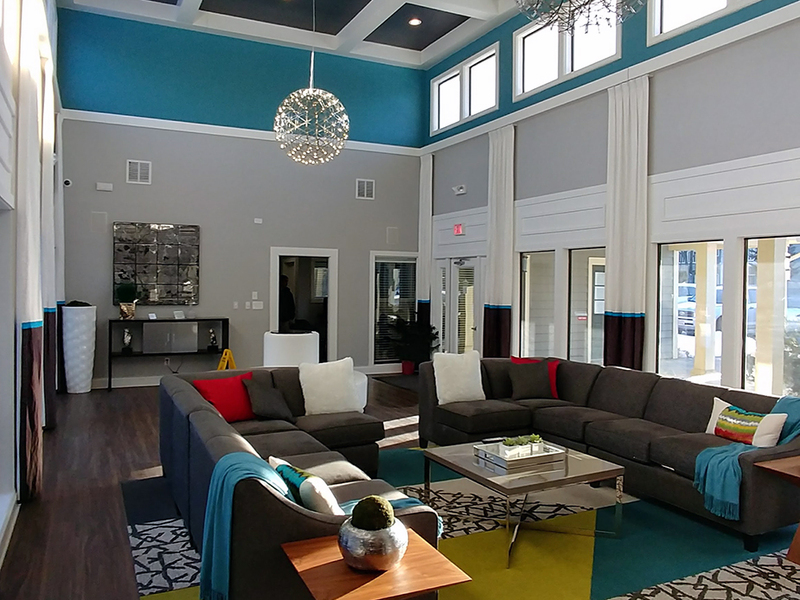 Opened in the fall of 2016 this unique project took a fairly dated and worn apartment clubhouse and racquetball court and freshened it up. 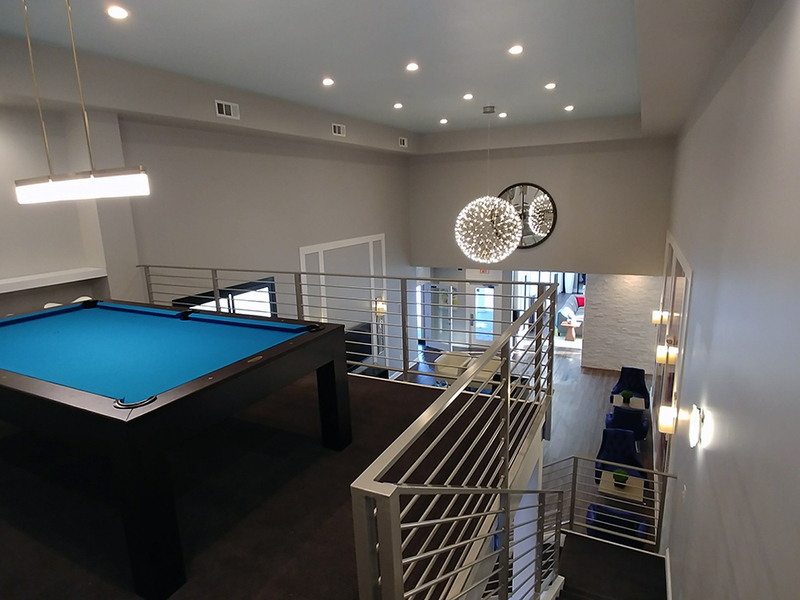 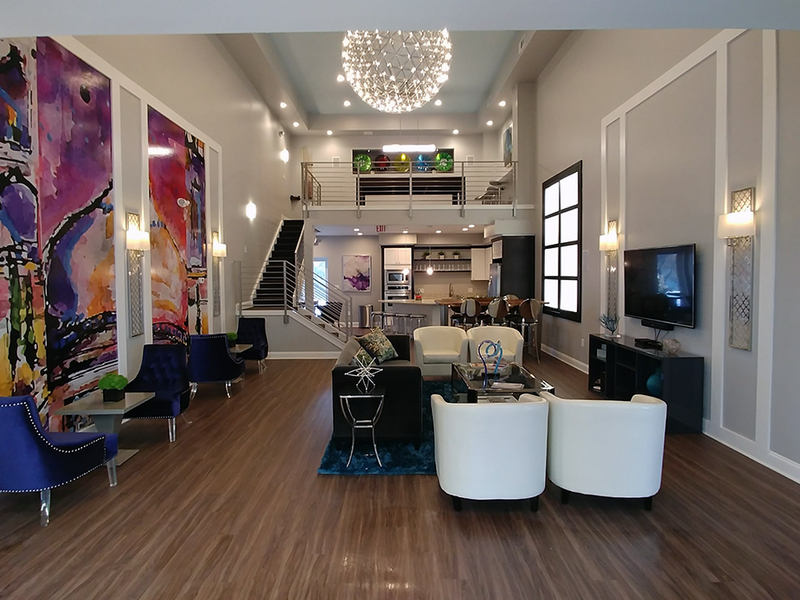 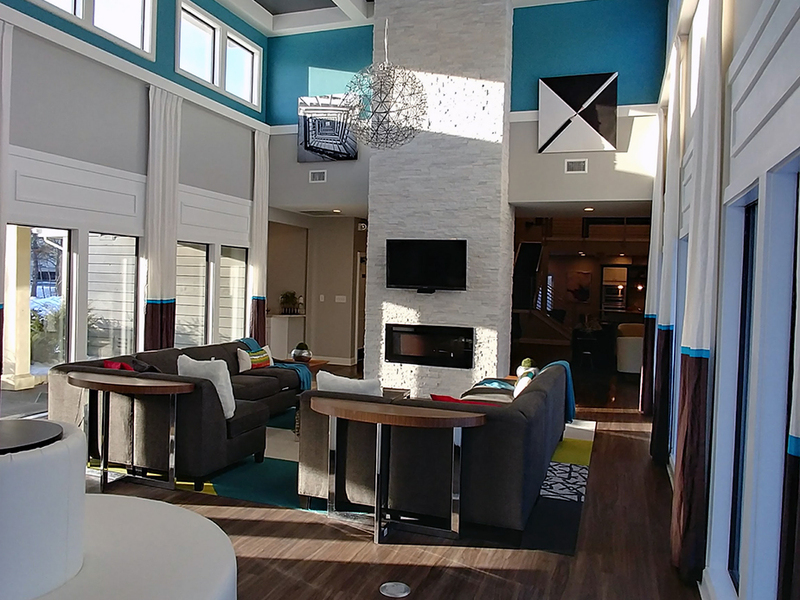 The Clubhouse offices were renovated, the living room was updated with new colors, finishes, trim and furnishings, and the racquetball court was transformed into a great hall-gathering space with a full kitchen and a loft pool mezzanine above. 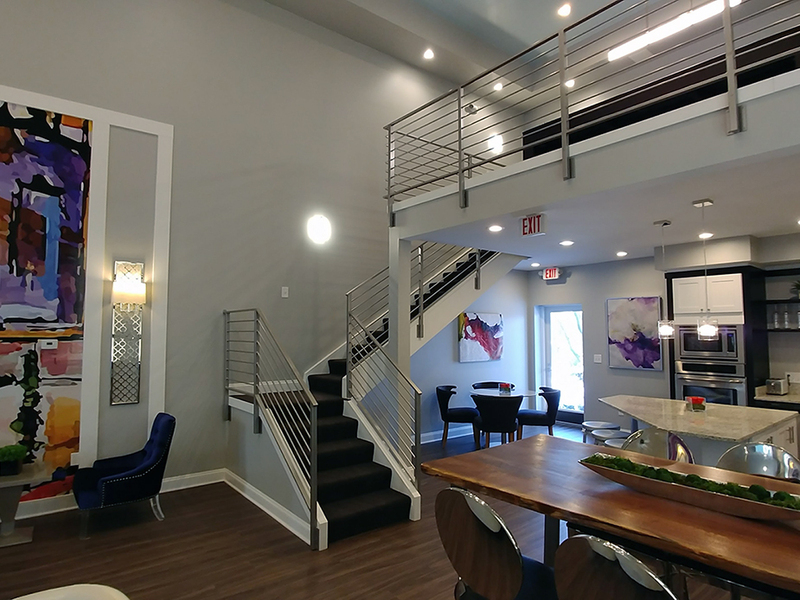 Structure, stairs and a new metal railing were added to achieve this affect.